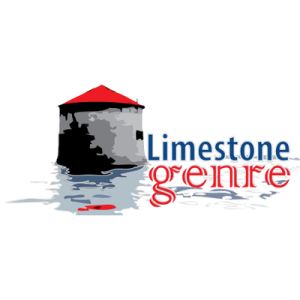 Limestone Genre Expo, a 2-day conference for authors and fans of genre lit, took place in Kingston, Ontario July 23-24th. 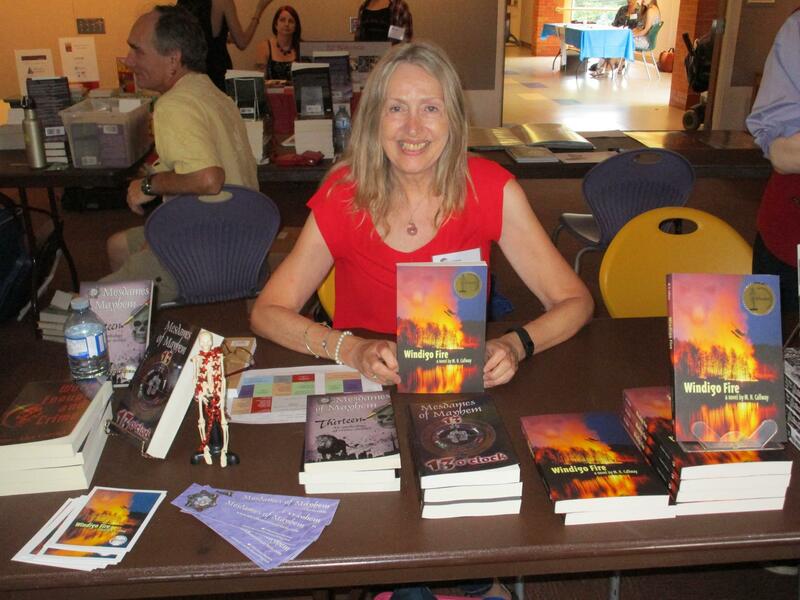 Organizers, Liz Strange, Delina MacDonald and Marlene Smith created the conference in 2015 to support Eastern Ontario writers of fantasy, science fiction, horror, romance, YA and crime fiction. 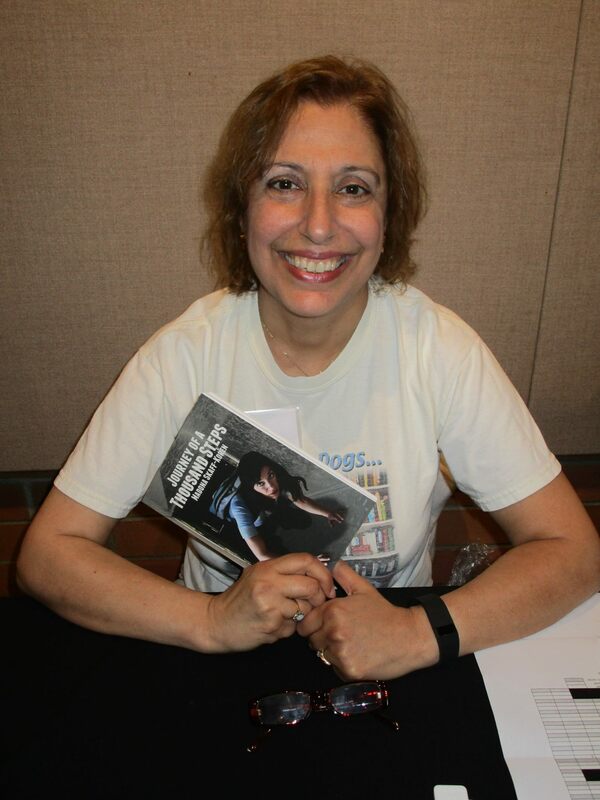 Science fiction, fantasy, graphic and horror authors have intermingled for years at conferences like Comiccon, Fan Expo and When Words Collide. Crime fiction is a relative new-comer to these events, but likely to become more popular in the intensifying search for readers and with the retirement of Canada’s late great national crime writing conference, Bloody Words. This was my first cross genre conference. 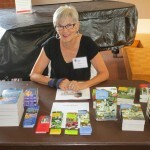 Starting with a local conference proved to be both comfortable and enriching. 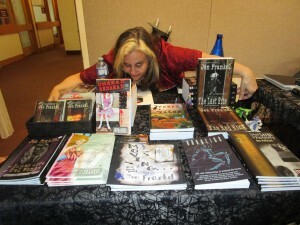 Several of my crime writer friends were attending: among them Rob Brunet, Vicki Delany, Madonna Skaff and Linda Wiken. And I have a deep affection for Kingston. I studied Chemistry at Queen’s University back when T. rex ruled the earth and OHIP was the major client of my IT consulting business. Ed and I made a weekend of it, staying at the wonderful Rosemount Inn, a Victorian mansion which looks haunted and reputedly is. My table mate in the vendor’s room was Ira Nayman, political satirist, science fictioneer and aardvark lover. Ira generously helped me set up my book display and we had great conversations about life, the universe and everything when the author panels were running. 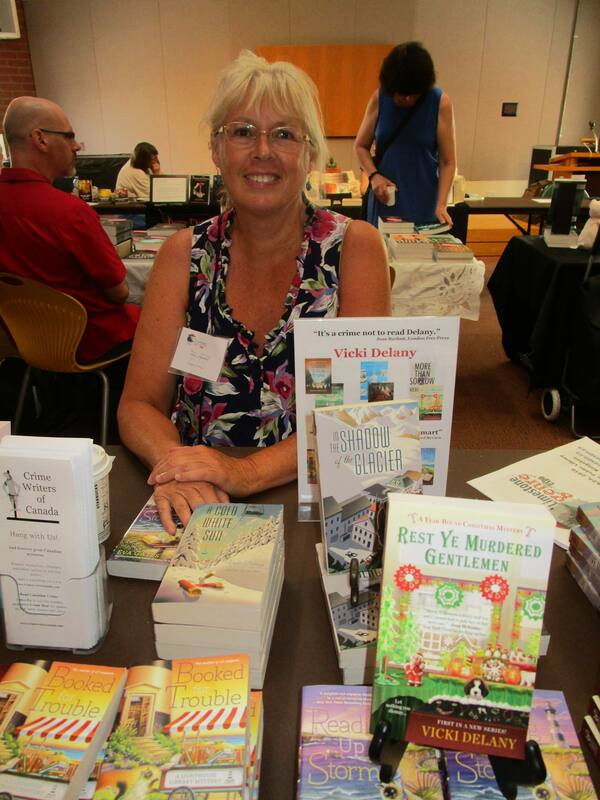 In the vendor’s room, I met Brian Lindsay, fellow crime writer and Arthur Ellis finalist for Best First Novel. 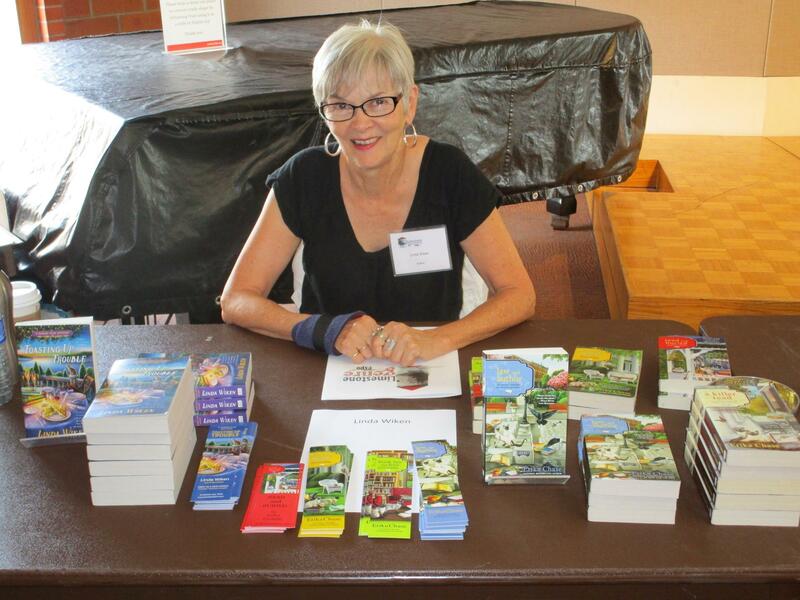 Brian is an imagist, chef and indie author of the Gilmore Island mysteries, set on an island near Westport, Ontario. Old Bones, which I’m enjoying now, is his first novel. 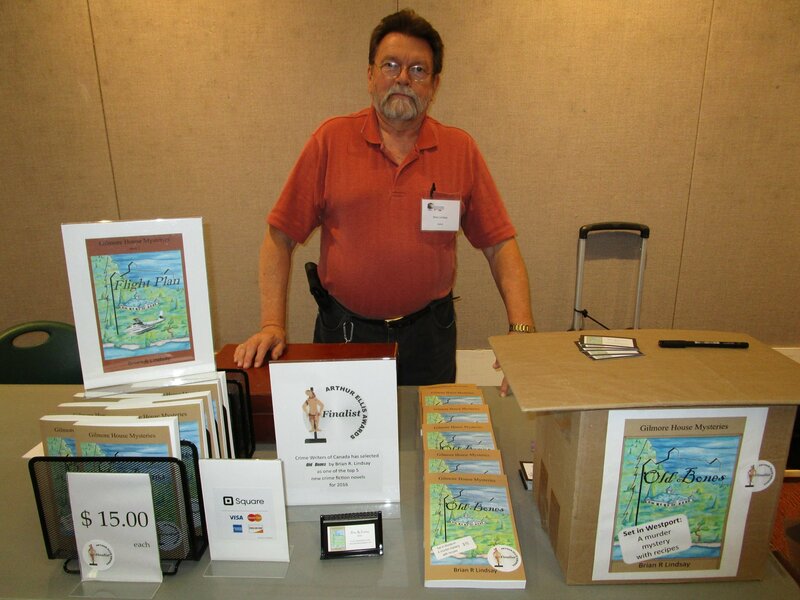 I also enjoyed meeting crime writer, poet, musician and reviewer, Bob Mackenzie. 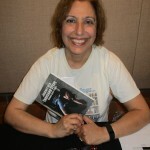 The conference was a well- thought-out mix of panels, workshops, author readings. There was a pitch session hosted by Five Rivers Publishing and a conversation with Jay Odjick, creator and executive producer of the animated TV show, Kagagi: The Raven. 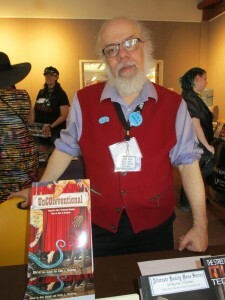 Each genre had at least one panel specifically devoted to it. The crime fiction panel was “Modus Operandi, From Cozies to Private Eyes” , a broad topic to be sure, but a fine introduction of the genre to new readers. 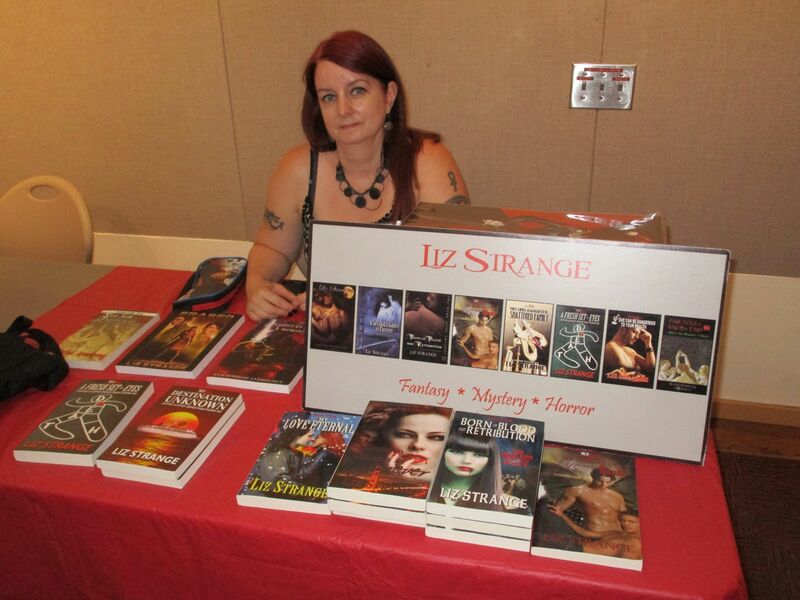 Liz Strange had asked me to step in as moderator for the YA panel with authors: Y.S. Lee, Alyssa Cooper, Maureen McGowan, Kim McDougall and Suzanne Church. The facilities at the Kingston Frontenac Library were pretty good, but like many modern buildings, meeting rooms are scarce: one large upstairs space and two much smaller rooms, where you really got to know the audience! YA is hot right now. Virtually every literary agent is begging for it. Our audience was too large for the room and the fire marshal notwithstanding, everyone crowded in SRO. The panel graciously gave up their chairs to the audience and spent the entire hour’s discussion on their feet! Some observations about YA: people of all ages read it. Why? For the strong story lines, shorter book lengths and relatively uncomplicated language; in other words, a fast read. YA many times deals with tough topics. Why? People see hard things on the media and through the internet every day. Parents can’t shield children as they once did. And the good news: Younger people are reading thanks to YA. 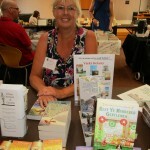 Indeed research suggests most readers are younger than 35 or over 60! Often, it seems that genre writers are silo-ed: crime writers mostly meet other crime writers and crime fiction readers. 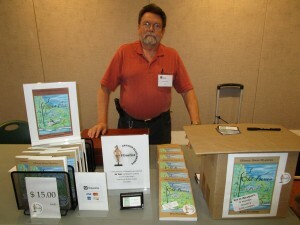 But conferences like Limestone Expo recognize that readers often read and love several different genres. And authors today share the same concerns. Panels were held on traditional vs. indie publishing, the portrayal of women, disability and LGBTQ2 identities. My own panel, Monstrous Imaginings, proved to be great fun. (The cross genre panel: Jen Frankel, Caroline Frechette, Evan May, Alyssa Cooper, Robin Riopelle and me.) The topic allowed us to freely interpret what “monsters” mean in crime fiction, romance, YA, horror, etc. We went a little wild and the audience seemed to enjoy that! Liz plans to continue the conference next year. Many thanks to Liz and the organizers for their hard work and a most enjoyable two days!